Protein is like oxygen. You cannot just have some at dinner and think you have covered your needs for the day. It's like saying, "I am too busy to breathe this morning. I'll breathe later." You need protein in the morning, at noon, and at dinner. 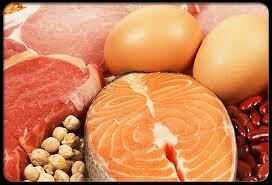 You decide the amount, but don't limit yourself to one protein-containing meal per day like so many do. Doing so limits your health.